Edinburgh could be set to have its first single malt whisky distillery in more than 90 years after plans were approved by the City of Edinburgh Council. The Holyrood Park Distillery and visitor centre, located at the Engine Shed in St Leonard’s Lane, is a joint project from ex-Macallan master distiller David Robertson and Rob and Kelly Carpenter, founders of the Canadian branch of The Scotch Malt Whisky Society. Work on the project is set to begin in the coming months, with the aim of beginning distillation and opening to the public in 2018, when it would become what is claimed as the first single malt whisky distillery in the Scottish capital since Glen Sciennes closed in 1925. Holyrood Park will produce only 53,000 litres of alcohol a year initially, yielding about 140,000 bottles of single malt after 8-12 years of maturation, and will also include an educational facility and visitor centre. The distillery courtyard may host a weekend market for local crafts. 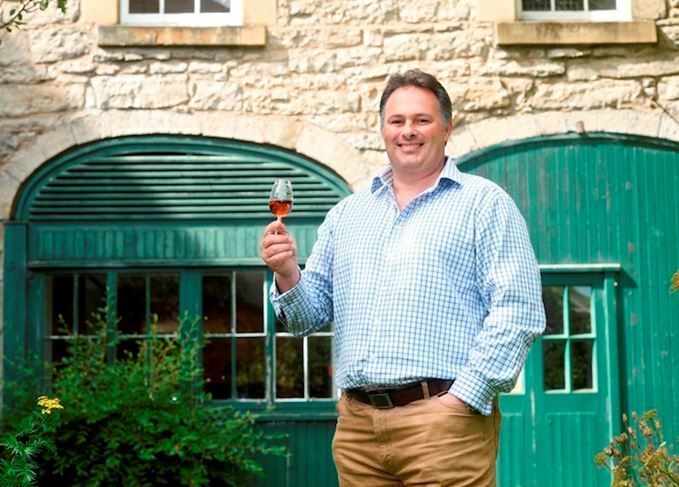 ‘After years of hard work, our team’s dream of bringing single malt whisky distilling back to Edinburgh is set to become a reality,’ said Robertson. The news follows the City of Edinburgh Council’s decision last August to enter into a lease with The Holyrood Park Distillery. Edinburgh has a proud – if distant – history of distillation: in the late 1700s, there were as many as eight licensed distilleries in the city, along with up to 400 illegal stills. Glen Sciennes, the last single malt whisky distillery to operate in Edinburgh, was also located in the St Leonard’s area, with its maltings located close to the Engine Shed. Jack Mayo is one of a number of new appointments at the Edinburgh start-up.